Oxford Club Reviews - Legit or Scam? Oxford Club Reviews – Legit or Scam? The Oxford Club is a private investment club, which provides its members with investment newsletters, reports, and opportunities from Investment Director Alexander Green. Alexander Green is the author of multiple newsletters and books concerning investment and wealth in the United States, and has over 20 years of experience working on Wall Street. To subscribe the Oxford Club and their multiple publications, a Premiere Membership costs $149 a year, while a Provisional Membership – which offers the majority of benefits of a Premiere Membership – sells for just $99 a year. What Benefits Do You Get With Your Membership? When you first become a member at The Oxford Club, you will receive five different detailed research reports available on current investment opportunities, including investment in gold, oil drilling, and pharmaceuticals, among others. You will also get two monthly newsletters, The Communique and The Ultimate Income Letter, which will keep you informed on opportunities throughout the year, as well as email alerts if Oxford Club believes that the stock has hit a ceiling. If you opt for the Provisional Membership instead of the Premiere, the only benefit you lose is access to the Membership Exchange, with one free listing each year. All memberships at The Oxford Club are automatically renewed, so if you do not wish to continue your membership after the first year, you must cancel your subscription in advance. Some of the stocks recommended by The Oxford Club are microcap stocks, or stocks that are generally very cheap per share. These stocks are often criticized because of how easy they are to manipulate. A company can buy a large amount of shares at the affordable price, then encourage others to purchase the stock to instigate a rise in the share price. Once the price has risen significantly, the company can then sell their shares, resulting in the stock price dropping. It’s important to double check all stock recommendations that you receive, as ultimately all investments, gains, and losses will be your responsibility. Average Rating for " Oxford Club " is 2.39 out of 5 based on 232 reviews. To all - I research this Oxford and would want to share my thought with you all about this...It's a scam to all retiree and elderly people who are really think they want to get a wealthy retirement using the method. So that's the reason they use psychologically to lure you into the trap and take your money! Secondly, the $49 subscription from each of you....assume 10 per day would give them a hefty deal without doing anything...so they live on your pension in theory and .... the losing side is always people who naïvely think that system is a golden one. Any thing with low cost but huge profit is never existed in this country or elsewhere todays. I hear things like such then my first reaction is ....run away! I wonder how many folks have been trapped with this Oxford. I told my son as teenager about this and he first laughed - He is nearly 16 yrs old but doing trading with his own research and 400% gain in his portfolio still much better than Oxford Club what has nothing to provide except they copy the info from elsewhere which is very old and obsolete data....Well I hope you all make your own wise decision and don't lose your money from your own retirement! - You might look into something more stable and maybe moderate yield to low percentage gain but at least you still consider WIN in the long run. ITS NOT ABOUT.......INVESTING......ITS ABOUT REBATES. SO FAR WITH JUST "SOME" RECEIPTS AND PURCHASING A 2016 VEHICLE WE ARE GETTING BACK $787.45.........CAN YOU BEAT THAT WITH A STICK?????????? Congrats to your son on a job well done! I'm with Susun. I'd hire your son, too to grow my retirement accounts. Suggestions on what to look into and how much does your son charge to assist a 75 year old widow? I read an email from the Oxford Club Monday evening, July 26, giving a strong recommendation to buy Jazz Pharmaceutical (JAZZ)at or near the current price of $0.86 per share. When I put in an order Tuesday morning, I learned that the price was way above $100 per share. I think the email was a year or two late! Or just a hoax. Did they say you should have bought it maybe 5 years ago?.....They pull all wrecking info and recycle it then send to you as their subscription promised so. I would NEVER buy anything from such as you don't know what you get into. Just another make money with little to no effort scams. Nice thing about goggle is you can hear what other people have to say about these sounds to good to be true deals. thank you for your comments. If its to good to be true-----!!!! I fell for Dr. Mark Stengler. His "no pill" sleep recommendation turns out to be a box of pill after a long long video. Sometimes I get five emails from him in a single day. And they're not all about staying healthy. Today only, a very CONTROVERSIAL book is being offered to a group of Americans... for FREE! 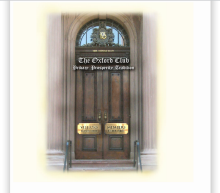 This morning it was a recommendation for the Oxford Club. They promise to tell me how to get gold at $165 per ounce. Another recommendation I didn't buy was a way to win a lot more than you and most everyone else at the Lotto. No no, there's nothing random about the numbers that come up and win. If I knew of a way to predict the future a bit better than most I wouldn't sell my "system" for $99 ! As a retired Detective of vice, I did purchase the "free" reports from Oxford.. I hate people that mislead others offering something for froo with a you must purchase later in the pitch. Sounds like "Trump University" to me. Once in, they keep the information you want like a carrot on a string, baiting you to buy the next level. If they were up front, I could make the choice of purchasing at a total cost, rather than wondering what it costs for the next partical bit of information they may give me. Are you successful with TRUMP UNI after all? you are as uniformed any everyone else regarding TRUMP U.
what is a scam is the entire college education scam! talk about over priced! what do u get except a pile of debt, and a job that you didn't even go to school for? TRUMP U is about investing, and if you don't have the balls to pull the trigger on deals and expect that there is a risk, you will not succeed!!! If you want to be a millionaire from Oxford Club recommendations, start with $5,000,000 and buy whatever they recommend. I recently purchased AMWD per their recommendation and I'm already down $1552. But hey, my subscription to one of their premium services has me up $35 (+.84%)in ELLI after just a couple of months. I think they deluge your inbox with advertising to try and keep you from keeping tabs on how they're really doing It's one thing to shell out a lot of money for their so-called services, quite another to watch your portfolio diminish no matter the market conditions. I'm looking for the 23 Cash Rebates and the 13 Ways to Make Easy Money that come with the newsletters. Would you share these to brochures? I don't want the other information and was hoping to find someone to share these with me. This place is a scam - last year I subscribed to their "service" which turned out to be little or nothing. This year they re-billed me saying I had agreed to continuous service (which I did not). I tried too cancel with them and get a refund and they refused to do it. Beware! Stay away!